it's really only a tiny typo, but anyway, maybe you want to correct it. On the page https://www.mp3tag.de/tc.html there's a paragraph about anytag.wdx, the content-plugin for total-commander but there's the sentence "anytag.wlx unterstützt ...". 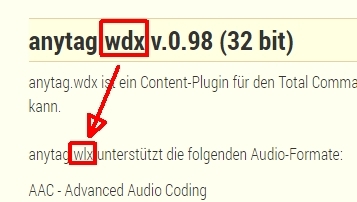 It should be "anytag.wdx unterstützt..." (wdx instead of wlx). I've attached a screenshot too.